The G85 is Panasonic's mid-level all-arounder. It is very much a refinement of the Panasonic G7, which is still an impressively-capable camera, but one that does not reach its full potential due to the issue of shutter shock. The G85 effectively eliminates shutter shock by switching to a new electromagnetic shutter mechanism and using more magnesium alloy in the body construction as opposed to plastic. It also has a new electronic first curtain shutter mode with no noise penalty, but more on that below. Additionally, the G85 gains weather-sealing and 5-axis image stabilization (which gave us an average of 3.5 stops of added stability). Both of these upgrades make an already tempting camera line, all that much more appealing. The articulating touchscreen on the G85 is a pleasure to use. And when looking through the EVF, you can use your thumb on the screen as a 'touch pad' to move your AF area around. However sometimes one's nose will bump the screen, changing the AF point. We'd like to see future Panasonic cameras offer an assignable area of the screen to be used as the 'touch pad,' to alleviate this issue. ISO 250, 1/800 sec F4.1. 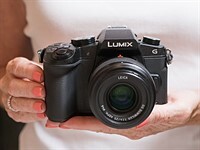 It enters a crowded mirrorless market and has some stiff competition both from other Micro Four Thirds cameras, as well as some APS-C offerings. The Sony a6300 and Olympus E-M5 II in particular stack up nicely against the G85, both in terms of price and capability. The G85 also faces competition from DSLRs like the Nikon D5500 and Canon Rebel T6S/760D. But even among all these heavy hitters, the G85 it has tricks up its sleeve - are they enough to make you open up your wallet? The camera scores big points in the body and handling category. Simply put, the combination of large dual control dials, physical buttons (many of which can be customized), and a well-implemented touch-interface all add up to outstanding ergonomics. However from a usability standpoint, the G85 is not perfect. Its Auto ISO implementation does not allow users to set a minimum shutter speed, ISO range or relationship to focal length, things we consider standard in today's camera market, nor can it be used when shooting video. Another beef: when a cable is plugged into the microphone or HDMI port, it blocks the LCD from being tilted. It is also worth pointing out that while this reviewer had no problems with the size of camera's smaller buttons, larger-handed shooters may. 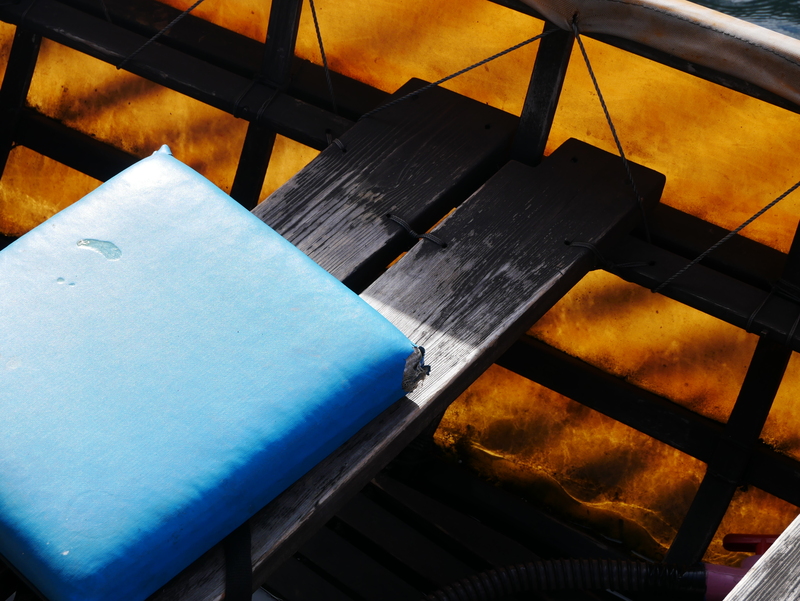 Those issues aside, the camera is impressively light, yet solid-feeling in the hand. And did we mention its weather-sealed? The camera is quick to start up and overall very responsive in operation. Panasonic continues to impress with its Depth from Defocus AF. The G85 uses the same 49-point contrast detect system found in most recent Panasonic ILC's and it can comfortably shoot at 6 fps with accurate continuous autofocus. The G85 can also track subjects in all 3 dimensions with impressive ease, thanks to subject recognition using its image sensor. This is useful in both stills and video mode. Casual shooters will likely find the face detect mode quite handy when photographing friends and family (though the 'Tracking' mode allows users to actually pick a subject, face detect does not). With focus locked, the G85 can shoot 9 fps using its mechanical shutter and whopping 40 fps using the e-shutter in Super High burst mode. Those modes are likely not all that helpful for shooting moving subjects, but 6 fps with reliable continuous AF is. Of course there are better-performing cameras on the market if you're serious about sports photography. JPEG noise reduction is very aggressive at high ISO's, smearing away detail. By processing the Raw file you can hang on to a lot of that detail. 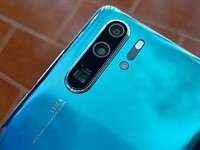 Panasonic is still breathing new life into their 16MP Four Thirds chip by removing the anti aliasing filter and the G85 sees slight improvements in image quality over its predecessor as a result of this and changes to its JPEG engine. The G85 is able to capture slightly more detail than the G7 in both Raw and JPEG all while doing a reasonable job of keeping moiré and false color in check. JPEG color has been slightly improved, but in general, JPEGs still tend to look washed-out at higher ISOs and noise reduction across the board is very aggressive and often sloppy. Simply put, to get the most of the G85, shoot in Raw mode. The G85 gains an electronic first curtain shutter mode, which is somewhat ironic because its new shutter mechanism seems to solve any concerns about shutter shock. Using the EFC shutter mode results in 12-bit files, just as when using the mechanical shutter, but the fully electronic results in 10-bit files. This ability to shoot without shutter shock without resorting to E-shutter mode gives the G85 a serious advantage over its predecessor in terms of dynamic range and Raw noise levels at high ISOs. At low ISOs JPEGs look just fine. This one was set to the 'Vibrant' color profile. ISO 200, 1/400 sec at F7.1. Shooting high quality video with this camera is a pleasure. 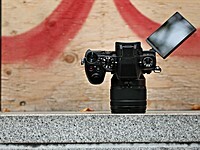 5-axis in-body image stabilization makes shooting hand-held extremely easy. Plus, the G85 has second generation sensor + lens image stabilization (Dual I.S. 2) for even more stability when using a compatible lens (though panning hand-held with IS on can result in jerky footage as the camera has a hard time differentiating shake from intentional movement). Using the touchscreen to select a subject is also painless and depth from defocus AF means the subject will usually remain in focus when using AF-C.
Video can be captured at 4K/24,30p at up to 100Mbps. The quality is very good in 4K and also impressive in 1080 (it beats the pants off the EM-5 II). It also has a useful 'live cropping' mode, which takes 4K shoots and crops in to 1080 to simulate panning or zooming in. For slow motion shots, users can shoot at 1080/60p but there is no 120p option. Video tools like focus peaking, zebra pattern, audio levels and wind filter have long been standard on Pansonic cameras. However, Auto ISO can not be used in manual mode during video capture which can be very frustrating. The camera has a microphone input, but no headphone port. Everyone loves flowers. The G85 is almost as lovable as a flower. ISO 1000 1/80 sec F4.2. In terms of performance, ergonomics and capability, the Panasonic G85 is the camera I will be recommending to enthusiasts for the foreseeable future. Here is why: It is the most compelling and complete Panasonic camera on the market (until the GH5). I said this when I first reviewed the rangefinder-style GX85 (a very similar camera), but the G85 takes everything a step forward. Moreover, the G85 also offers the most complete and compelling package of its competitors. Its siblings aside, the G85 is one of the only cameras at this price point capable of 4K video capture. Yes the a6300 shoots 4K and has a more sophisticated AF system, but it has no in-body IS, frustrating ergonomics (lacks dual top-plate control dials) and a limited lens family. On the other hand the E-M5 II has in-body IS, dual control dials and lens choices aplenty, but no 4K. With the G85, you can pretty much have it all. There is only one real area it struggles: JPEG image quality. This is not to say JPEGs from the camera are entirely unappealing. 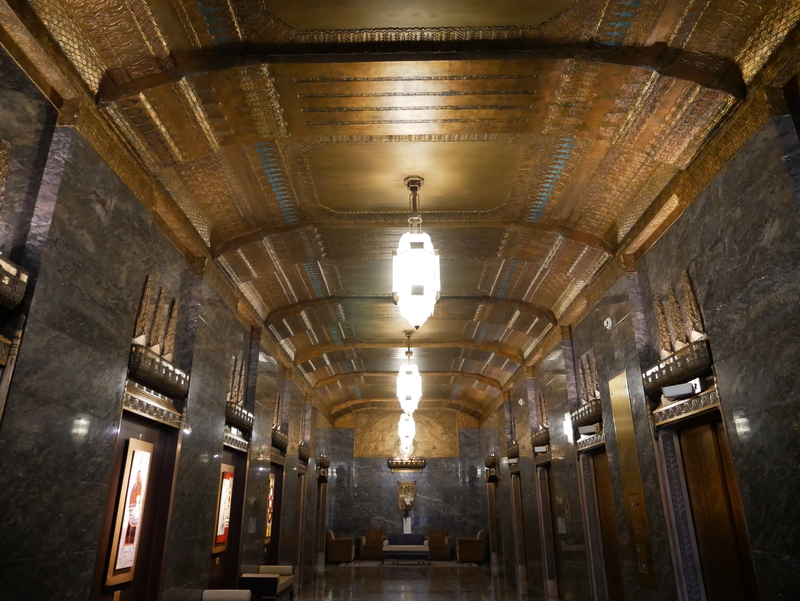 But when you have similarly-priced cameras like the Fujifilm X-T10 capable of gorgeous JPEG color, it makes Panasonic JPEGs look comparatively 'meh'. Still, I feel strongly that the Panasonic G85 represents a near full realization of what modern Panasonic ILC's are capable of (if only it had that new 20MP chip...). 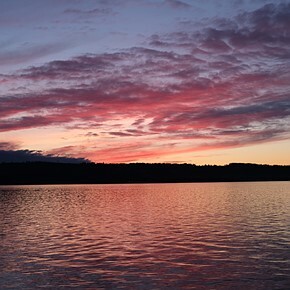 It is a highly enjoyable camera to shoot with and one I would gladly reach for without any hesitation. For these reasons, it wins a gold award. Scoring is relative only to the other cameras in the same category. Click here to learn about the changes to our scoring system and what these numbers mean. The G85 is an extremely appealing camera for enthusiast photographers. Light-weight and weather-sealed, it offers dual control dials, a fully articulating touchscreen and ample customization. Still image quality is excellent, the same goes for 4K and HD video quality. Autofocus is reliable, even when it comes to subject tracking and 5-axis in body stabilization allows for easy hand-held shooting. Simply put, this camera should fulfill the needs of many with ease. Street, travel and general-use photography. Casual sports shooting. 4K video shooting. Easy social sharing. Serious video work: no Log response or a headphone jack to monitor levels. Panasonic has a lot of cameras with similar sounding names. 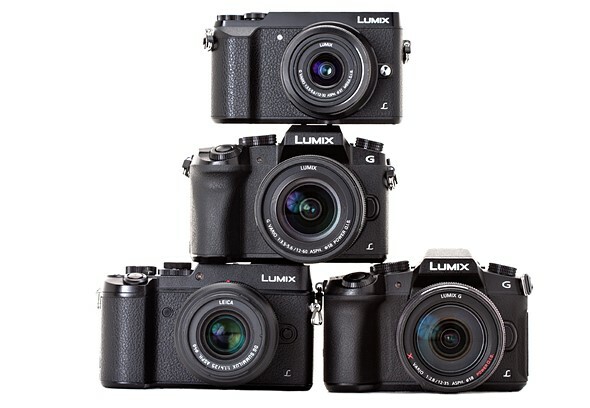 While this stack of cameras is not literally meant to represent how these cameras stack up against one another, it should give some sense of Panasonic's ILC offerings. The G85 (bottom right) borrows something from each of its siblings. It has the weather-sealing of the GX8 (bottom left), in-body image stabilization, a sensor sans-AA filter and a redesigned shutter mechanism from the GX85 (top) and a revised version of the G7 (center)'s body. I just bought a G85. Can someone please explain to me how the G85's 1080p video would look better than that shot by the OM-D E-M5 Mark II? The E-M5 II shoots 1080p at up to 77 mbps vs 28 mbps on the G85. I understand the G85 shoots UHD at 100 mbps, but Dan Bracaglia said the G85's 1080p footage looked better, and I'm not sure why that would be. Very strange. DPR says there's a noise penalty with 10-bit e-shutter output, and it's pretty obvious looking at the Studio Test Low Light shots on DPR's page. But, I downloaded the "Standard" and "E-shutter" RAWs and looked at them in LR with Detail adjustments turned off, and I can't see a difference. What's up with that? 3840 is the resolution of 4k television as opposed to movie 4k is slightly higher than 4k. So I've owned (for work) two A7iis, two a6300s, a bunch of fuji bodies, several g7s, and one g85. In my opinion the Sony systems offer the best image quality and customization by a good margin, but they are a pain to use and editing is necessary in video and photo. The Fuji cameras are incredible for stills and consistently take the sharpest and prettiest photos right out of camera which saves alot of time for product photography. I recently moved from the A6300s to the G7s + G85 for video, but I can't sell my Fuji equipment for stills because it is leaps and bounds above the G85 for image quality in photos. I'm shooting with the 12-60 and the 12-35 f2.8 on the G85 but it is disappointing for still images. It is a fantastic camera in usability and I love the video output (which is why I am keeping it). So at the end of the day, I recommend you take a look at Fuji if you are only interested in stills, but if it comes down between Sony and Panasonic...go Sony. I hope this helps! Thanks for your post. I've been interested in the G85, as on paper it looks like the perfect camera for decent video and stills in one package (at this price point). But your comments on its stills capability has made me take a second look - the Studio Scene Comparison Tool shows the Fuji X-T20 has about 2 stops better ISO performance! The G85 does seem better optimised for video - particularly with IBIS stabilising all lenses. How effective do you find stabilisation with Fuji's lenses? FWIW I think the difference in IQ between these bodies is overblown. To all intents and purposes they are the same up to ISO 1600 unless you are an inveterate pixel peeper. Also, don't be fooled by Fuji's ISO ratings, they understate them by roughly 1 stop. Also, unless you want to photograph moving subjects in the dark the G85 IBIS gives 4-5 stops of stabilisation. In reality you rarely need to move from ISO 200 with the G85, therefore giving it a potentially better image quality than the X-T2. @John "Also, don't be fooled by Fuji's ISO ratings, they understate them by roughly 1 stop." I have heard this, but if I look at the ISO200 comparison between the G85 and X-T20 the EXIF shows them both at 1/60 sec and f/5.6. So no evidence of understated ISO in this case at least. I could be wrong, but I believe they adjust them in post for equal brightness. So, within this price range and with the baby on the way hence the need to buy a good camera for priceless PHOTOs! I too have narrowed down my choice to X-t20 and G85! already crossed off sony a6300 and Olympus but My heart and mind can't really decide between the Fuji or Panasonic, so, would really, really, really appreciate ANY HELP on coming to a conclusion which way to go! X-T20 is a no brainer if you are looking for a stills camera (and just take short video clips). It absolutely destroys my G85 with the 12-35 2.8. My Fuji X-A1 with the 27mm f.8 annhilates my G85...and I paid $120 for it on eBay. I love my g85 for video...I sold my a6300s for a G7 + G85 setup, but the image quality can't touch my Fujis. I wish it could...I only want to own one system but I need video and stills for work. I returned my XT2 though because it didn't match the color output of my XT1. Completely different look...still technically good, but not the same colors as my XE1, XA1, and XT1. 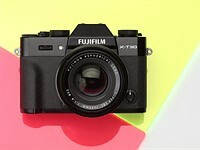 I agree about the Fuji X-A1. It's image quality blows away my GH3, GX85 and GM5. I'm seriously considering getting a Fuji X-E3. Well, after thinking a lot, really a lot. Im getting the g80 instead of the x-t20. I hope the image quality doesnt dissapoint me. Preferrably use RAW + JPEG, turn the NR down. Then do NR and sharpen in post! Compared to my E-M1(mk1 /mk 2) it takes a bit more work to get the ultimate out of the files (already had GM5 so I have some experience with the Pana's). The last time I had a G series Panasonic before that was with G2 and between it and the G80 there's a world of difference. Olympus still have the edge on JPEG's but the gap is closing. it makes a good camera really fantastic at this price point! I guess you're right... I'll keep my G7 and wait as well... Hurry up Panasonic! seems like a great mirrorless cam. after seeing it thought its just too big for micro 4/3 and on the ugly side... sorry. - panning problem (jerkiness/stickiness) in video. - strong humming (whirring) ibis noise in video audio. Did the later firmware update solved completely these two problems? - Olympus OM-D E-M5 II? - Olympus OM-D E-M1 Mark II? - Will ibis sound or kit lens 12-60mm F3.5-5.6 sound hear in video recording (when using internal microphone)? - How good is audio quality of the Lumix G80 preamp (when you connect external microphone example Rode VideoMicro)? - Will the Lumix G85 5-axis IBIS work well with all Olympus MFT -lenses (still and video)? - Will autofocus also work with all Olympus MFT -lenses (still and video)? - How do i find the shutter count info, is it in the normal menu (If buy used camera)? This is my first post here. Thank you for helping! 3. Don't use internal mic/ so no idea. 4. a. Oly lenses work well with IBIS on the Pana but no DUAL IS available so I'd say a little better to Single IS with E-M5mk1 maybe almost same as E-M1mk1. But it's difficult to asses. 4. b. AF is very fast with Oly lenses only no DFD so for CAF there's a difference. The Oly Pro lenses are sublime on Pana as well. 4. c. Haven't dug into this, so can't answer on it yet. Had my G80 for a few days now. Using the mic port doesn't stop the screen being tilted. It stops the tilt occurring in that position, but one can easily pull the screen forward very slightly to adjust tilt then move it forward again. And on this review, and many others recently, complaining about over aggressive noise reduction in the Cons seems overly picky when most of these cameras offer the ability to alter the noise reduction settings. In many ways reviews seem to complain about default settings of various kinds - despite them only being a default and not mandatory. I would love to try out this little camera when I have the funding, I wished it is less video-centric, or it would be a waste on my hand ! and I still don't understand why almost all new camera must comes with 4K video, if I were a videographer I would go for something more like a real video camera, such as the Canon XC-10, it handles much better for video shooting than any other capable still cameras and it takes still as well. 4k is for 4k screens are starting to be more popular and widespread. Many photographer hobbyists like to take occasional 'better then smartphone' video here and there with they cameras so there is no need to carry two devices with most of recent mirrorless cameras like G85 which, helped by Panasoonic's efficient DUAL IS, allows you to leave the tripod at home for stationary shots. 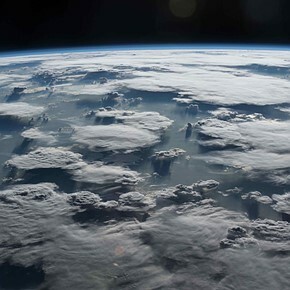 Why has 4k been embraced so enthusiastically, when it presents a lot of logistical headaches? Apart from the whole upgrade mentality of having to have the latest and best, I have a theory that it's to do with the multimedia integration thing. Stills photographers are now being asked/wanting to shoot video as well as stills, often presented side by side on big displays. Stills photographers are accustomed to high image quality - sharp images. When a stills photographer sees mushy 'home-video', shot on 1080 so-called HD or lesser, the stills guy always sees a disappointing downgrade in image quality from what s/he is used to seeing in stills. Video enthusiasts don't seem to be so offended by that lower IQ, and in fact often defend it. But everyone's a videographer these days, and many of us want our video as sharp as our stills. Just an idea, based on the fact that I've only come to like video since 4k - it does justice to the world the way high resolution stills can. I have the G7 .... just like this and it handles brilliantly for stills either with one hand or low shooting or with a long lens ...this upgrade is going to be a killer! Am I understanding correctly that you cannot track your focus on the touchscreen pad as is possible with the GX8 for example? 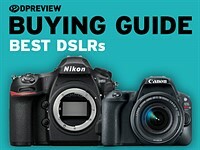 @Dpreview : Am i seeing this correct, my GM1 (same as GM5 sensor) is having better RAW than G80 ? Could you comment that, i suppose its not about AA filter ? I doubt that, I have both camera's , yesterday took a picture of a group of people in semi dark circumstances in RAW with both camera's, one with the new 12-60 lens and the GM1 with 20mm f1.7. I noticed I could extract more detail out of the G80 than from the Gm1 in Lightroom. I get the point. Their (dpreview) grade is "time-dependant". I got G80, unbeatable colors, i love it. Panasonic JPEGS are meh compared to XT10? I doubt that. I find they are better in standard profile compared to my X100T. 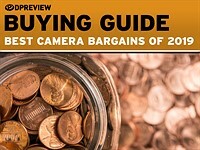 Camerastore TV also proved that Panasonic jpegs can be more desirable. I would never imagine that I'd say this but Panasonic can produce very pleasing sooc jpegs. Also the technology put into tiny Panasonic G&GX bodies are probably couple of years ahead of Fuji. The Camerastore video most prefered JPEG renditions from Nikon and Canon. A firmware update should be available as soon as next week. Are you saying it's out of sync by that much, or just that the sound takes a moment to start recording at the beginning? A very good camera overall. It seems to have most of the small improvements that one can expect from G7. The only thing that I don't like is the 16MP sensor. I would have liked the newer 20MP sensor. 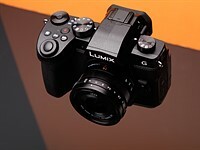 "Less than a week ago, Panasonic became aware of some reports that the G85's image stabilization wasn't delivering the same level of smooth performance that the GX85 is while slow panning in video mode. Panasonic is working to solve the issue with a firmware update as soon as we can. Panasonic appreciates all the valuable feedback and always focuses on meeting or exceeding our customers' expectations." Very good to see something official and based on @LumixUSA has been telling me on Twitter I am confident they'll get this issue resolved. Thanks for sharing that. That's great news! We bought G80 (Firmware 1.0) in UK paired with 12-60mm (Firmware 1.1). IBIS is not smooth in video - it sticks and jumps. Similar to this:- https://youtu.be/y3eqvClYV-o?t=3m2s The footage is unusable and the camera cannot be used handheld as we intended. Anyone else experienced this or is ours faulty? Nothing back from Panasonic as yet. It's a known issue and DPR along with others have brought this to Panasonic's attention. Hopefully we'll see a firmware fix soon enough :) You can apparently mitigate the problem by using the e-stabilization setting only for video recording. I've only had the sticking issue at extreme telephoto (350mm equivalent) or on a tripod doing pans. I've been getting a lot of nice handheld footage though with the kit lens. 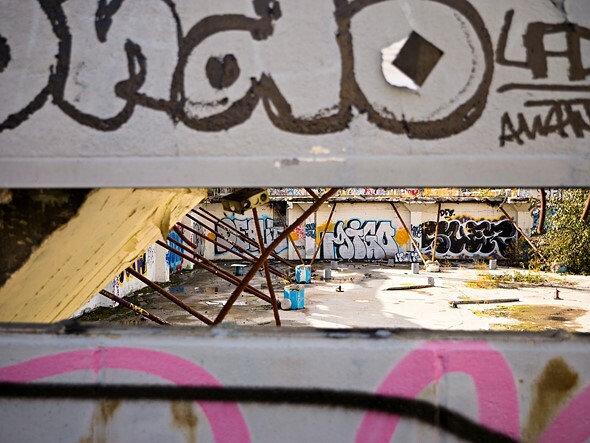 Are you getting that bad sticking even with wide angle shots? Thanks RussellG and FirworksYT. 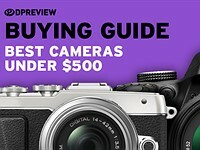 I see that it has been reported here this afternoon on DPReview that PanasonicUS have acknowledged the issue. I did try the e-stabilisation which helps but you lose quality and I shouldn't have to do this. The GX80/85 is silky smooth, the G80/85 is hopeless. We are currently filming Jo Brand's "The More You Ignore Me" with Sheridan Smith. This camera was bought specifically to record and document behind-the-scenes footage and interviews. As this was my decision to opt for this camera, I expected it to do the things Panasonic said it could do. 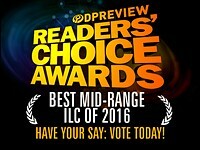 DPReview gave it 84% and every other review I read said it was great. Not a single review said there was a problem with the stabilisation. Thanks for your replies which are both helpful and completely accurate but they are workarounds. I need a solution and quick. 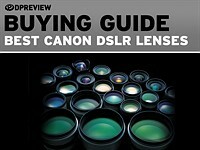 Why aren't any of the Canon EOS-M cameras included in the Peer Comparison chart? Hi, I'm a novice shooter that's looking to get better at this and was planning on upgrading from an EOS Rebel T3. I want a camera that should still be a solid shooter 2-3 years down without spending much over $1K. Would you recommend this or the A6300? Types of shots I'm interesting in are landscape/outdoor, family events, maybe portraits every now and again. 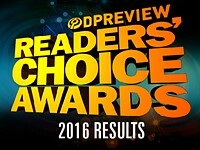 You can see the comparison of specs up on this page, and DPR also recommends the G85 in this review. On top pf the specs you get a bigger lens selection and cheaper lenses with the M43 system. A quick update on the issue surrounding 'jerkiness' or 'stickiness' when panning during video capture with IBIS engage: Panasonic engineers are aware of the issue. I've been in touch with Panasonic USA and they've conveyed your/our concerns to the factory. I'll update when I hear anything more. In the mean time, you can use E-stablization (with IBIS switched off) for panned shots, without having to worry about any 'stickiness.' Just note that there is a slight crop factor (you can see an example of it on the Video & Features page of the review). That's great to hear! Thanks for the updates and please do keep them coming. The Panasonic site itself is a bit of a mess for gathering useful information when compared to the DRP site. I'm fine with using this as a "watch thread" for the issue. What is your view on another issue that has come up...that the G85 IBIS system makes noise on videos shot using the in-camera mic (even if IBIS is disabled). Is this something to be expected with IBIS systems? even if IBIS is disabled, it's still the IBIS holding the sensor in place, so IBIS is always on. I'm glad they've acknowledged the issue and are planning to fixing it in firmware. Hi Ryan. It's a non issue for the "noise". I've never picked up anything in the videos. Dan, thanks for this review, but this sentence in the opening paragraph is a bit confusing: "A sister model, the G80 will be available in other markets." You don't state before that in which markets the G85 will be available and I don't think the review states what the differences are between the G80 and G85. They are the same camera. Depending on the market you are in, they have different names. For instance, in the USA, it's called the G85, in the UK it's the G80. Dan, in your comments on the jerky movements with video stabilization, you said, "We observed this issue when using both a Dual I.S. 2 capable lens (the 12-60 F3.5-5.6 kit) as well as a third-party lens (Olympus 17mm F1.8), but not when using E-stabilization." Do you mean that it is not an issue when using E-stabilization *only*, or when using it in combination with the body and lens stabilization? From the G85 manual (ftp://ftp.panasonic.com/camera/om/dmc-g85_en_adv_om.pdf), it's not clear to me that the E-Stabilization is ever active on its own. If the E-Stabilization plus the body and lens stabilizers (what Panasonic calls the "5-Axis Hybrid Image Stabilizer") does not exhibit the problem, that might be a useful workaround until the issue is fixed. I own a GX80, I just love this camera. I think with touch screen and great menu system and all the advanced features this is easily one of the best cameras in the market. To my surprise Panasonic's JPEGs in standard profile are much more pleasing, colorful with better AWB than my X100T's JPEGs especially for landscapes. Due to same resolution sensor detailis are same if not better in some cases. I wanted to purchase the Olympus EM1 just recently, but here in Australia stocks run out and will not be replaced. The new EM1 mark2 is for me far too advanced and expensive, leaving only the Panasonic G 85/80. I think there is no other Micro Four Thirds camera that advanced at the moment. Sadly Panasonic in their wisdom left the wireless flash possibility out and one has to purchase an extra external command flash separately. The smallest DMW FL 200 costs here over $200. As I have already the glass, other systems don't apply for me. I am seriously considering the 85 body including the 14-140. Hopefully Panasonic Australia will offer a generous incentive like in the UK. I have since learned that the Panasonic G85 has indeed wireless flash--as long as the external flash is compatible. See diagram on page 161 in the instruction manual. There are plenty of options besides the rather expensive Panasonic flashes from other manufacturers like Metz for instance. I think you'll find that the Olympus OM-D EM-5 mk II will do what you need for flash, but won't swear. Also it does have slightly cumbersome built in WiFi, but there are accessory WiFi SD cards that I find work well. Oh, and also note that Panasonic obviously decided this camera needs a third name, as it is sold as G81 (not G80) in Germany and other EU countries. ... and sold as G8 in Japan. Market differentiation. G80 in Sweden which is a EU country. All those multi-names are so a sales person or distributor can instantly know where you bought the camera in his region and so tell you that it is/isn't under warranty. Always thought a bit nasty. Nikon enforces regional warranties mor strictly than any other company is know. Discourages gray market, and makes life tough on travelers who may have found just exactly their desirederatum, but while you're away from home. Any news on them fixing the issue with ibis and video recording? Some people are reporting very jerky jittery video with ibis enabled. Panasonic is aware of the issue, I'll update the review if I hear anything back RE: a fix. Got my G85 today! Arrived safely despite UPS and Amazon's best efforts. Stabilizer is amazing coming from a G7 and I cannot believe how quiet the shutter is. It feels so comfortable and I'm "right at home" shooting with it from the G7, but everything feels just a little bit better. Can you please tell us if Amazon packed it poorly for shipment? This could be very useful info for those of us thinking of maybe ordering it from them. Despite how bad that looks though only one corner of the actual camera box was damaged and not badly. The camera was still in perfect shape as Panasonic designed the packaging well. It's in the third section of Tips and Tricks, and uses Panasonic's little-discussed Flicker Decrease function, which essentially locks your shutter speed to a video-friendly setting. I have to say, it works great--especially after saving the settings to my C3 memory. With shutter set to 1/50, aperture on manual, and maximum ISO at 1600, I can shoot run-and-gun with very impressive results. Love it. Thanks. But what is the difference with leaving it in manual and just setting auto iso and iso limit? Tried it on a gx85, and maybe i am doing something wrong, but it over exposes by a stop. That's a good question, but I'd ask the guy who posted the original tip. Or you could try it on manual and see if it works the same. As for the overexposure, I don't know--on my G7 it's spot on. I have G80 and i have a problem when shooting photographs in rooms with flickering lamps. This function is available only for video, how about photography? can the G85 built-in flash act as a trigger for external off-camera flash? It can do optical wireless trigger. Same as the G7. I just tested it and fired my Yongnuo YN560IV and it works fine. This misunderstanding seems to be the result of poor grammar! They mean it DOES support wireless flash control when used to fire and control suitable external flashguns - such as the DMW-FL200L, FL360L, etc. thank you for clearing this Wireless question for me. On looking in the Instruction Manual Page 161 it states indeed that it has wireless flash with suitable units. I really can't get such a high score for a 16MP, m43 camera able to shoot only at 6fps, with average AF and subpar battery life...all this in late 2016. Actually the af is pretty good. 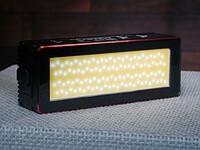 Comparable to lower end dslr's. The video is very good, it has a top notch evf, and offers ibis with 4k video and no overheating (with no time limit on the american model). The battery life isn't subpar either. In mirrorless the battery life this gets is a bit better than average actually. If you aren't using continuous AF you can shoot 16MP bursts at 40 fps. How about the 800-900 shot battery life with the Power Save mode. Are those good enough for you? Not for a camera that scored 84 on DPR, sorry. So launch your own review site and rate it whatever you think it should be. Readonly, do you think your reply is intelligent? To me, sounds really childish. tecnoworld, in order to expect people to respect your comment, you need to be honest too. You specifically miss out the key selling point for G85 which has superb 4k video, IBIS (also works with 4k video), touch screen and in a weather sealed lens package for $999. BTW, trolling some other manufacture’s camera didn’t makes you “feel” your NX gear is getting better…. AF is not "average". Battery life is not "subpar", especially with Power Save. Frame rate is 9fps, not 6. Your gear list shows no MFT gear at all. I smell a troll. I know, right? Since the GX85 measures up almost exactly equal, in every meaningful metric, to say everything from a Canon EOS 50D to a Nikon D300, how could ANYONE have POSSIBLY made good pictures with *those* cameras??! They're such JUNK that nobody could have made a good picture at all, ever! ...and that's what you get for spouting off such inane, ridiculous and unknowledgeable drivel. @technowhatever You're the one who's being childish now, dude. How come the G7 gets higher score in Movie / video mode? I would think the G80 is better concidering its stabilized video? Also, is it just me who gets the jittering also in the live view when panning? Jittering is an issue with all panasonic cameras from this range. I hope they fix it with the gh5. 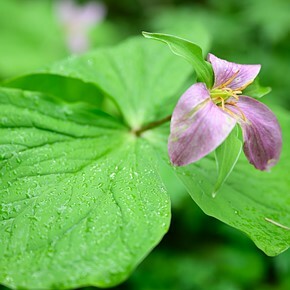 when shooting at 25p you may try to lower the shutter to 1/40. this will give you more motion blur and will disguise a bit the jittering. I have never had any jittering in my panasonic shot video. The guy is either shooting at too high of a SS or he is having an issue with the ibis that some other people have had. 24/25p video can look jittery also when played on a monitor that doesn't support native 24p or 25p playback. 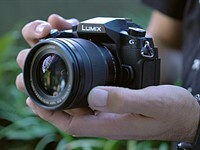 Panasonic has a good product here and is very well priced which will see a few Olympus users come over. 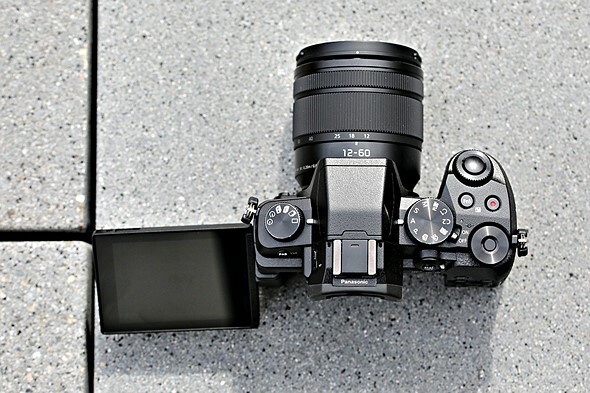 Olympus with the Pen F and the new EM1 Mkii pricing will aid that transition. I don't see Pen-F potential buyers considering the G85. Two good cameras but they are so different especially when it comes to design. I do think that some considering the E-M1 II will consider the G85 though especially if they want some up to date features but aren't going to push the limits of the autofocus system. You have to distinguish between"Dual IS" and "Dual IS 2". Nearly every Panasonic Lens with IS will feature Dual IS on the G85, but currently only the P14-140mm and the P12-60mm support Dual IS2. Panasonic stated that they will release updates to expand the v2 compatible lenses. can you help me understand the difference between IS and IS2 please? Dual I.S 2 is 5 - stop stabilization out to 280mm FOV. I think Panasonic is literally the only ILC maker that still refuses to enable EC with auto ISO in Manual (and they only started enabling auto ISO in Manual on models from about a year and a half ago to today), never mind a more refined auto ISO implementation. It's like they're completely oblivious to requests for this or just have a bizarre policy against it. The G85 and GX85 are still some of the best mirrorless ILC bodies for the money out there, and probably the ones I'd recommend as well, but I think the way Oly does certain things is starting to grow on me despite their more confusing UI... If only they'd put out a body w/OSPDAF that doesn't sit at the TOtL, that's really holding them back and propping Panasonic IMO. No, it isn't. Setting ISO manually is very different from applying EC to auto ISO. The latter is much more handy in changing light conditions. It deserves the gold reward! Thanks for the review. A nose sensitive camera! Akutagawa would love it. Thanks for the review and those nasal remarks. "Its Auto ISO implementation does not allow users to set a minimum shutter speed, ISO range or relationship to focal length, things we consider standard in today's camera market"
Let get with the times. Whilst I realise that someone paying £2000 for this kit is unlikely to stick with the kit lens, I would have liked some comment about the 12-60mm supplied as the kit lens. So far I have not been able to find a sensible review of this lens other than a damning initial report shortly after release. 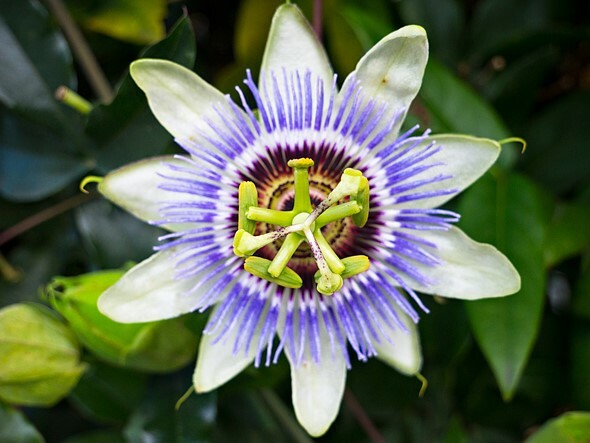 Yes there are a few images in the review gallery but there is too much noise in the ISO 1000 Passion Flower shots to make any assessment of lens sharpness meaningful. LensTip have a review of this lens. 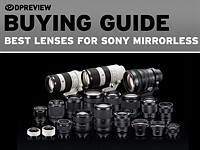 Lots of reviews of this lens out there. Search on google. £2000??? Where did you get that? The G85 with 12-60 is selling for $999 in the US. I just got this camera and i'm very annoyed by this "fan noise", like a persistent humming coming from the camera (the lens I put is a Nikon Ais)...Panasonic customer service were unable to help nor even understand the problem or what i was saying. When I asked if there was a firmware update that can solve the problem, the person at the other end of the line had to keep me waiting in order to go and ask about it. It's the IBIS. I have the G85, but as I understand it, the Olympus cameras with IBIS have it as well. I turned off the IBIS on my G85 and the sound still there. The IBIS on Olympus only turns on when half press the shutter button, the rest of time total silence. Apparently many Panasonic cameras with Image Stabilization have these small whirring and clicking sounds. That's just normal for a Lumix. If you look inside while the camera is off, the image sensor actually slides or flops around in there. I imagine that it has to run even to just hold it in one spot without doing any compensation. In regards to your query, I would like to advise that this is not a fault of the unit, the sound comes from the gyro of the stabilisation system and because the inbuilt microphone on the camera is very close this is why the camera captures the sound on the video. My advise your be to adjust the [Mic level adj] in the Motion picture menu to a lower value the sound should not be captured by the recording anymore. Is it good advice (works) or not? You can change autofocus speed. Slow focus is preferred for certain shots. Hi Michael, can you change the autofocus speed? I don't have the G85, but I couldn't find this feature in the manual. This seems like a low light scenario to me.